6604 Hwy 291 Hwy Nine Mile Falls, WA. | MLS# 201818040 | Cooper Realty Services (509) 599-1111 | Spokane WA Real Estate | Contact us to request more information about our Homes for Sale in the Spokane WA area. 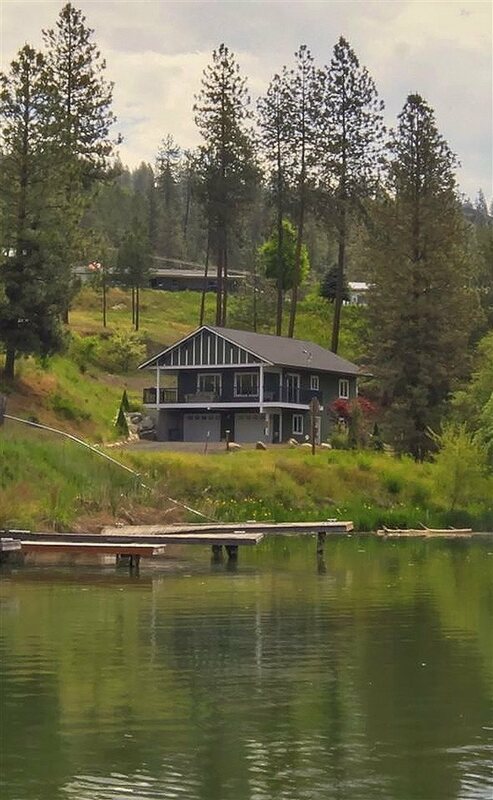 Beautiful quality home -views and direct across access to Lake Spokane!Comes with lake access membership Willow Bay Resort with boat launch,boat slips,docks,swimming & more. For small annual fee. 3bed,2bath, Like New, built in 2009 with wonderful features-- vaulted ceilings,hardwood floors,cozy gas fireplace,kitchen with hickory cabinets & more.Great trex deck to enjoy the lake!Fire pit,fruit trees,evergreens-your year-round retreat!Also has 2-car garage and room for RV.It&apos;s all here for you for under 300K!